From Pripyat To Point Pleasant – Birdman Creature A Harbinger Of Disaster? Around midnight on 26th April 1986, following a routine inspection of Reactor 4, the worst nuclear disaster in modern history quickly unfolded at Chernobyl in the former Soviet Union. 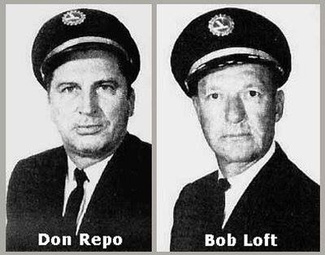 In the immediate aftermath of the explosion, firefighters and service rescue teams responded as they normally would do, unaware that the fallout from the explosion was four times that of Hiroshima was following "the bomb" at the end of the Second World War. Shortly after they arrived at the site, they were shipped to the small hospital at Pripyat, the lethal dose of radiation ravaging their bodies. Forty-seven of them died. The town of Pripyat was quickly evacuated. The residents, and possibly the authorities themselves, thought this would be for a few days, maybe a few weeks. They never returned. Some were allowed eventually to live on the perimeter of the area – but had to waive their rights to sue the authorities should they become ill. The once thriving town that housed the Chernobyl plant workers and their families became a ghost town literally overnight. 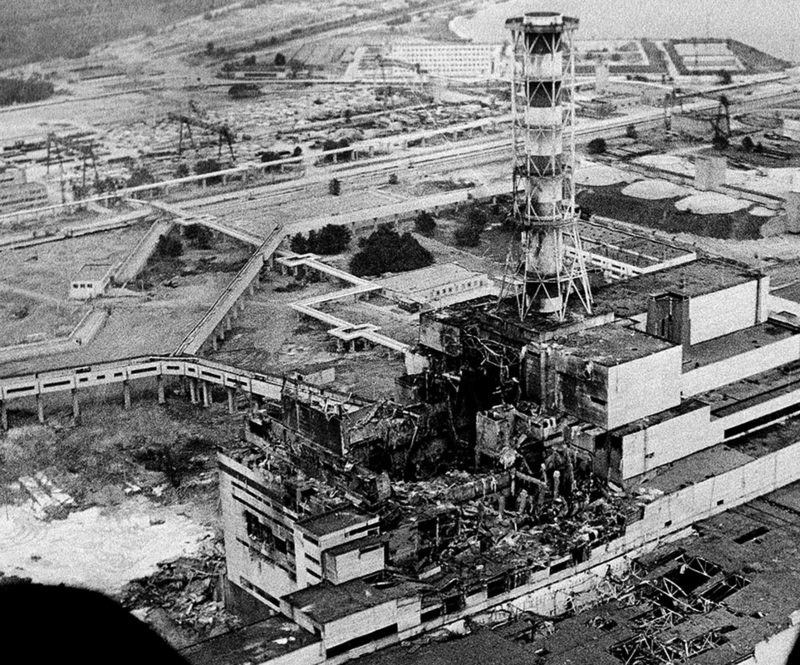 ​However, there were reports of strange and paranormal activity before the explosion at Chernobyl or the evacuation. Many people reported seeing a strange, glowing cigar-shaped object near the site, including one witness stating it was seen directly over the explosion site for hours after "just hovering" before it vanished into the sky. ​Perhaps strangest of all though, was the multiple sightings and reports, of a strange winged creature who was seen over the town in the week leading up to the disaster. Four workers at the Chernobyl plant made reports of seeing the creature over the site, and even stranger still, those who had made reports or claimed to have seen it, went on to state they had suffered from horrific nightmares and even received threatening and mysterious phone calls following their sighting. Some claimed it looked like a birdman with red eyes, while others stated it appeared to them to be headless. ​Responders who entered the disaster zone in the hours following the initial explosion also apparently stated that they witnessed a winged creature “circling in and out of the black smoke” – it is not known if nightmares or phone calls also plagued them, most of them died shortly after in Pripyat hospital. ​The creature became known in legend and folklore as the Black Bird of Chernobyl. It hasn’t been seen since. The stories though are remarkably similar to those told by witnesses to another disaster, nearly twenty years earlier and halfway around the world. On 15th December 1967, Silver Bridge in Point Pleasant, West Virginia in the United States collapsed. Forty-six people were killed. In the days leading up to the disaster, there had been reports of a winged creature flying around and sitting on the bridge itself (although there had been isolated reports in the area dating back to 1966). Again, those who saw this creature experienced nightmares and were victim to threatening phone calls. Exactly the same as would happen in Pripyat two decades later. The creature around the Silver Bridge is referred to as the Mothman. The first known sighting of it came on 12th November 1966, when five cemetery workers in Clendenin, West Virginia, claimed they had seen a “man-like” creature fly low over their heads and over trees near the cemetery. 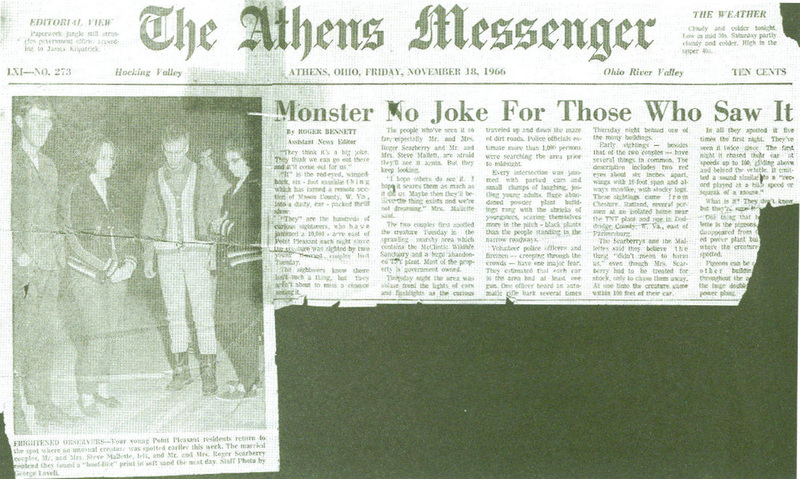 Three days later the first official recorded account appeared in the “Point Pleasant Register” under the headline ‘Couples See Man-Sized Bird...Creature...Something!’, after two couples Roger and Linda Scarberry, and Steve and Mary Mallette, claimed they had all witnessed a bird-like creature who had “glowing red eyes” and followed their car, flying low to the ground. The sighting was at a place known locally as the “TNT area” – which was an old munitions complex used during the Second World War. You can read their comments in full here. According to the book “America’s Beastiary” by J M Connor, there are over one-hundred reported sightings of the Mothman over 1966 and into 1967 – with many more sightings that went unreported for fear of being mocked. However, folklorist, Jan Harold Brunvand, insists that most of these “reported sightings” are fabricated and often fail to quote an identifiable person with the account. 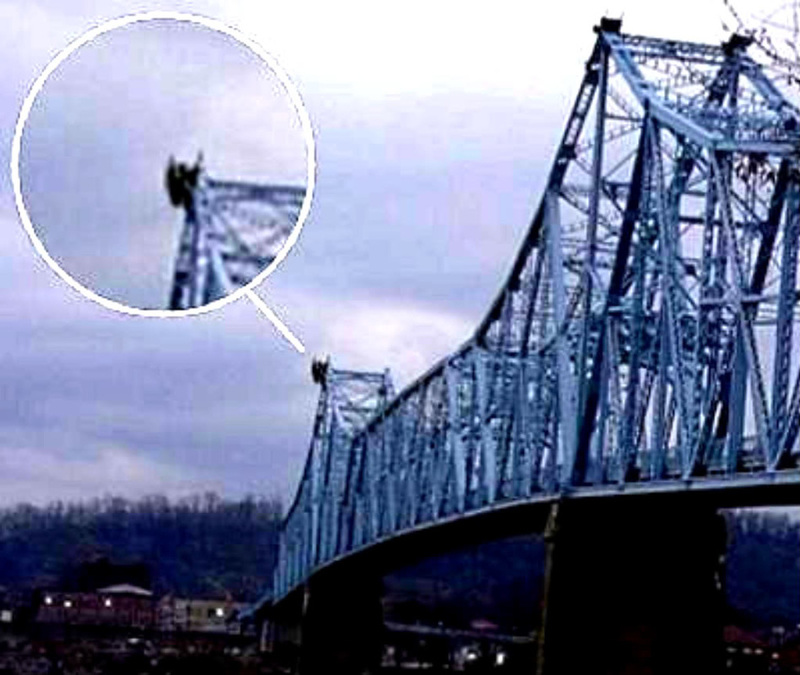 Perhaps with this in mind, years after the Silver Bridge collapse, the Ohio UFO Investigators League re-interviewed many of those who had claimed to have seen the Mothman in the mid-1960s – all of those interviewed stuck to their stories and insisted their experiences were genuine. It is highly unlikely, if even possible, that those in Pripyat would have heard the stories of this creature from the 1960s. This was during a time when East and West were separated by the “Iron Curtain” and there was no Internet with which to view such accounts and stories. Could it really be that the creature witnessed is some kind of warning of impending doom, and as Linda Scarberry states, it is trying to communicate this to us? Might it even be responsible for these disasters and be there to enjoy the sour fruits of its labor? There have been other alleged Mothman/Birdman-like sightings before several disasters over the years. In Freiburg, Germany, on 10th September 1978 a Birdman-like creature scared twenty-one miners away from a mine shortly before a collapse that would have killed them. It was named by the group the “Freiburg Shrieker” as the men claimed that it made a shrieking sound like that of “fifty men screaming at once!” Incidentally, several of the men who made their claims suffered psychiatric problems and severe nightmares following their experience. 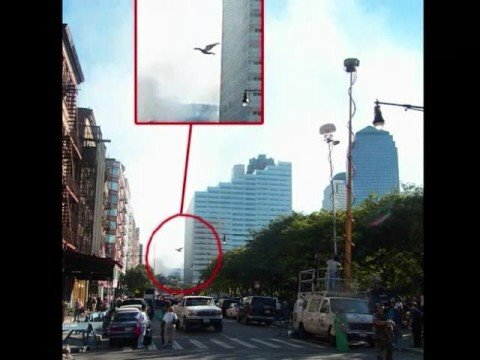 Shortly before the Twin Tower attacks of 9/11 in 2001, there were sightings and alleged photos of a Mothman in New York. There were also alleged claims of sightings before the Minnesota Bridge collapse in August 2007 in which thirteen people died. If these sightings across the United States and around the world were to be true, and let’s assume just for a moment that they are, then it is probable that the sightings in Pripyat are also genuine. ​And the activity at the scene of the disaster, incidentally, is still strange to this day. By the late 1990s, the radiation levels had dropped enough so that people could spend a limited amount of time in the area. 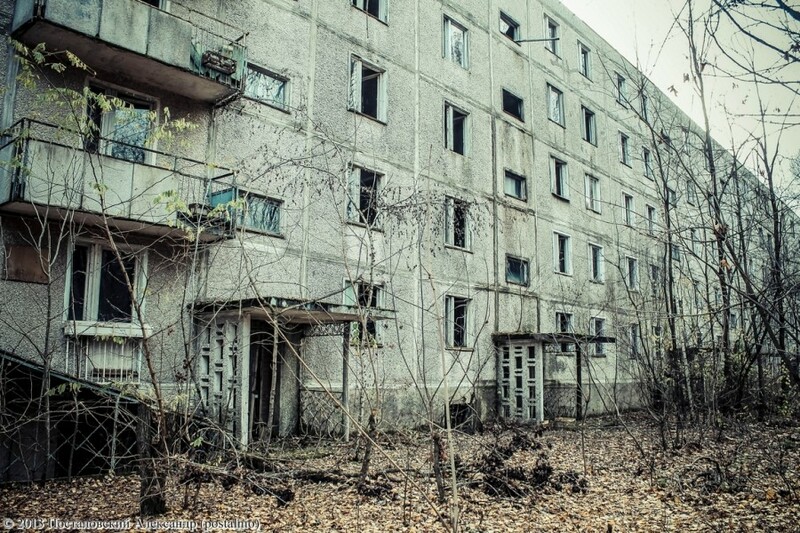 Much like is shown in the movie, Chernobyl Diaries, there were even paid tours where interested parties could view the ghost town for themselves. Many reported strange activity, including the feeling of being watched, particularly around the hospital. “I arrived at the abandoned power station at about 7:30 am. I proceeded directly to the Reactor 4 sarcophagus where the explosion took place. I could not enter, due to the radiation. I stood by the entrance taking radiation and roentgen readings. I know no one could be inside the old reactor core, but I could hear very distinctly the sound of someone screaming for help, shouting that there was a fire inside. Stranger still, when the “Destination Truth” team (SyFy) conducted a paranormal investigation at Chernobyl, numerous incidents were recorded. The team investigated the remains of Reactor 4 also and were shocked to witness a human figure appear on a thermal imaging camera they had placed inside the reactor. They continued to spot various figures moving in what should have been an abandoned building! ​Check out the videos below - the first looks at the Black Bird of Chernobyl, while the second looks more at the Mothman legends in the United States. The third video shows what is claimed to be a strange"ghost" creature caught during the Tsunami that hit Japan in 2011.